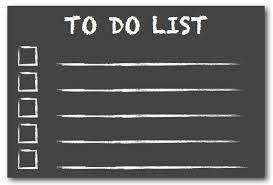 The universal challenge of every startup founder is to get everything done that needs to get done, and still have a life. Even outside of business, everyone wants to accomplish more, while working less. I’ve been a student of these techniques for some time, but some time ago I saw a great summary that seems to pull all the key principles together. Do what you know and enjoy. Figure out what’s really important to you as an entrepreneur. For most, it’s following a passion to show customers your better solution. Live your lifestyle, do what you love, and identify your top priorities. Then you will get things done, and it won’t even seem like work. Stop procrastinating. Procrastination is a killer when it comes to being effective. One of the best ways to stop procrastinating is to break things down into small chunks, using tiny steps to move forward. Break time into pieces. When there’s an end in sight, it’s a lot easier to get down to business. Conquer the technology you need. Cellphones, laptops, and other electronic devices are supposed to give users additional freedom, but far too often, they create time traps. Separate yourself from technology on a regular schedule to not allow a machine’s interruptions to set your day’s agenda. Maintain your focus. You need to set boundaries and say “no”; to stop multitasking; and to find ways to group similar tasks or similar contents. Don’t forget to delegate to other team members, and don’t be tempted by the current “crisis” to postpone the important tasks of strategy decisions and monitoring the progress of the business. Stay organized. Many people confuse ‘organized’ with ‘neat.’ In fact, organized means a place for everything and everything in its place. When you stumble over something that doesn’t have a place, either throw it away or make a place for it. If you don’t have any more room, throw something away – don’t rent a storage unit. Stop wasting time. Work is whatever you need to do that most matches your business goals as they are today. Use the 80/20 Rule to pick and then complete those taks. Stop trying to do things perfectly. “Good enough” is the antidote to perfectionism. Make faster decisions by limiting the options you consider. Optimize your efforts on every task. Stop doing what isn’t working so you’ll have the time to optimize the rest of what you do. Some of the best ways to optimize include using team feedback to identify blind spots that could be limiting effectiveness; recognizing when it’s time to call in an expert to get the job done; and listening to your own advice. Build stronger relationships. Build a network of contacts to allow you to harness the power of others’ strengths. Superficial relationships don’t help. Giving is the best and quickest way to strengthen a relationship. Conflict takes energy to sustain, so work to prevent conflicts from arising, and work to end conflicts quickly that do arise. Leverage technology. Use technology thoughtfully to automate things that take a lot of time, thus gaining leverage. Reuse things rather than re-inventing them. The most valuable computer function in business is “cut and paste.” These days, on the Internet you can find samples of every document and contract you will ever need, so use them.